Jiang Zemin, born 17 August 1926 in Yangzhou, Jiangsu, China, is a Chinese Communist politician. He was mayor of Shanghai 1984-1987, General Secretary of the Chinese Communist Party and member of the Politburo Standing Committee 1989-2002, China's president 1993-2003, chairman of the party's Central Military Commission 1989-2004, and in China's Central Military Commission from 1990 to 2005. Considered by many as one part neo-conservative politicians. The Chinese state during Jiang's leadership came to pursue a policy that brought the country further away from the ideological and practical legacy of Mao Zedong. Bob Dylan ( born May 24, 1941) is an American songwriter, singer, artist, and writer. Vanessa Redgrave, (born 30 January 1937) is an English actress of stage, screen and television, as well as a political activist. TAGS: Caricature of Vanessa Redgrave, cartoon of Vanessa Redgrave, comics of Vanessa Redgrave, portrait of Vanessa Redgrave. Sir Cliff Richard, really Harry Rodger Webb, born 14 October 1940 in Lucknow, Uttar Pradesh, India, is a British singer. David Letterman, born April 12, 1947 in Indianapolis, Indiana, is an American TV host (talk show host). He leads The Late Show with David Letterman, broadcasted by the TV-network CBS. Letterman's first television job was as a meteorologist. In 1982 NBC began sending Late Night with David Letterman Monday to Friday at 00.30 local time, immediately following The Tonight Show. TAGS: Caricature of David Letterman, cartoon of David Letterman, comics of David Letterman, portrait of David Letterman. George Clooney (born May 6, 1961) is an American actor. 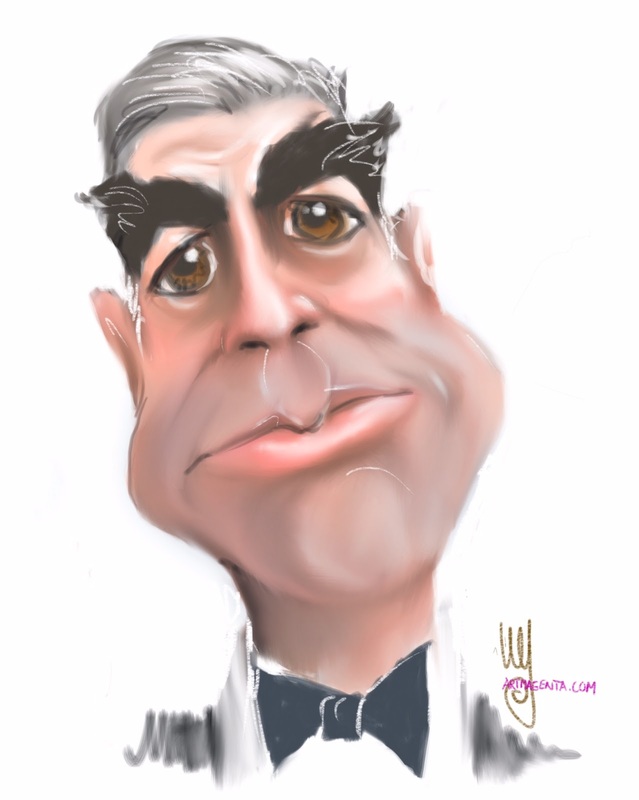 TAGS: Caricature of George Clooney, cartoon of George Clooney, comics of George Clooney, portrait of George Clooney. Chris Brown (born May 5, 1989) is an American recording artist, dancer, and actor. 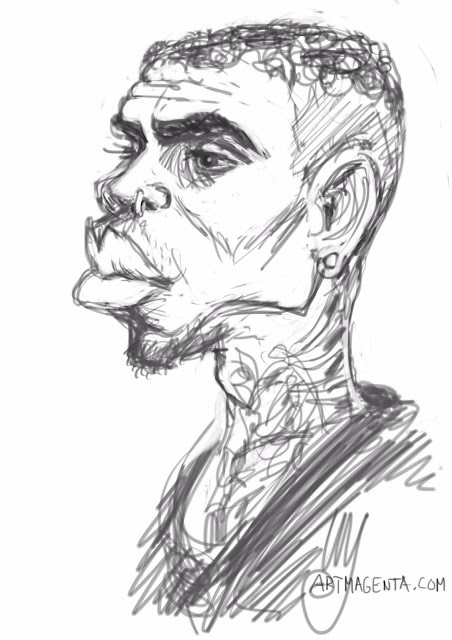 TAGS: Caricature of Chris Brown, cartoon of Chris Brown, comics of Chris Brown, portrait of Chris Brown.